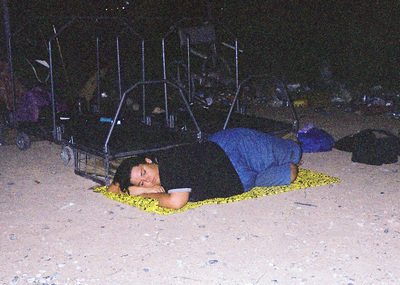 Crime Scenes was a public intervention made in response to the City of Phoenix code (verbiage noted below) that prohibits people from lying or sitting on public right of ways. 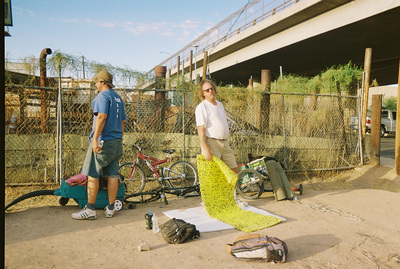 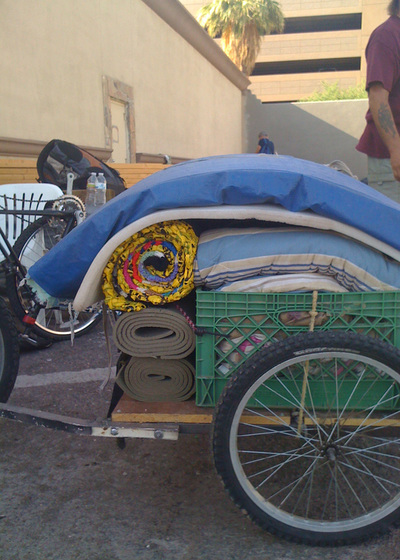 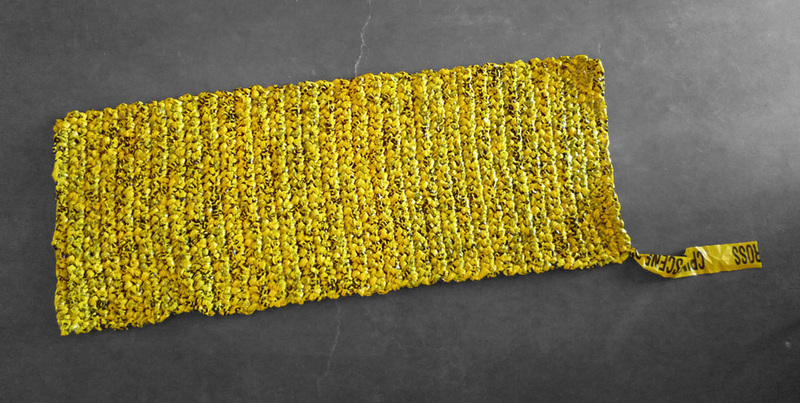 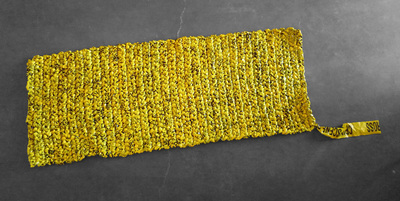 The artist crocheted sleeping mats out of Crime Scene tape and gave them to five individuals experiencing homelessness, and who are known as "campers" - that is, they are not sheltered, but rather live on the city streets. 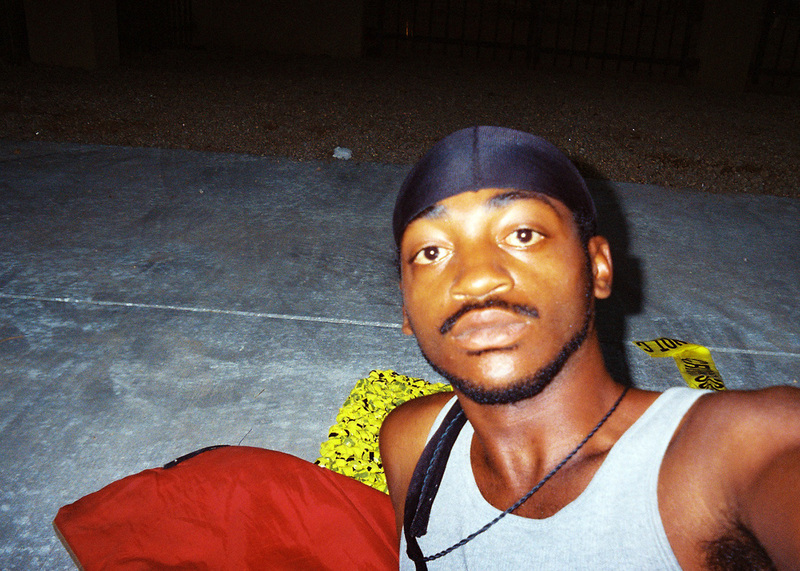 These participants were given disposable cameras, and paid to record their life on the streets with the mat for one week. 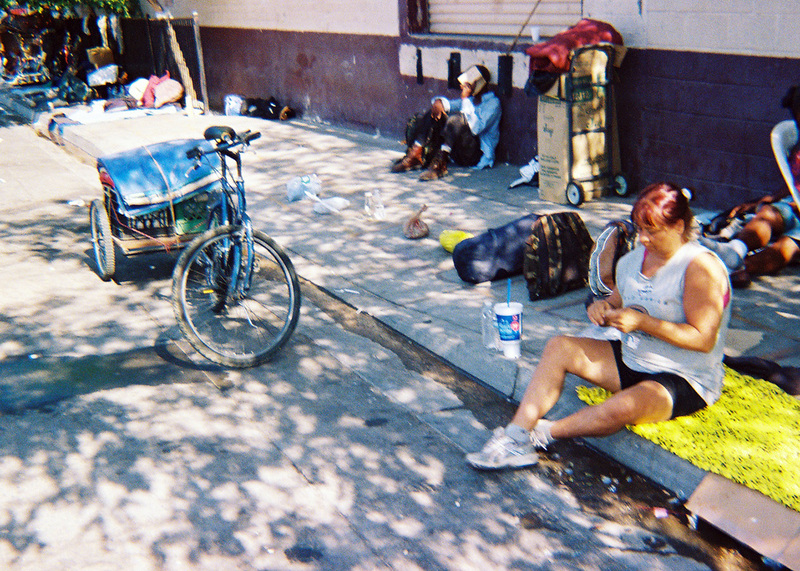 It shall be unlawful for any person to use a public street, highway, alley, lane, parkway, sidewalk or other right-of-way, whether such right-of-way has been dedicated to the public in fee or by easement, for lying, sleeping or otherwise remaining in a sitting position thereon, except in the case of a physical emergency or the administration of medical assistance.